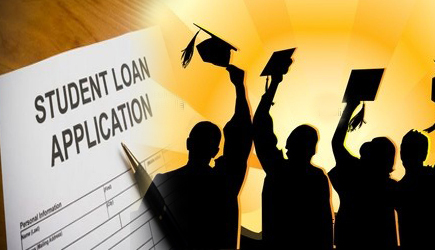 Your study loan is made to your affordability criteria, ensuring you never feel the pressures of being overburdened. Registration fees, outstanding study fees and other additional costs associated with your studies are covered by our study loans - all you have to worry about is achieving your educational goals. Whether you are looking to increase your salary through improved qualifications, qualify for a better job position or just for personal enrichment, Eduloan will be your partner for your educational journey. You don't need to put down a deposit and we pay the amount you owe for your studies directly to the institution and then deduct the instalments from your salary or bank account each month, which means no admin for you. Finally, you get repayment periods of 6 to 24 months. Q: What do I need to apply for a study loan? you or your sponsor's bank statements for the last 3 months. If you or your sponsor are self-employed, we require you or your sponsor's business bank statements for the last 6 months and proof of business ownership as well as you or your sponsor’s certified ID and a quote from the institution. Once you have compiled all of your document and completed the application form, you can apply online, visit your Eduloan office on campus or giving us a call on 0860 55 55 44. Eduloan will do an affordability assessment by using the income and expenditure information provided on your loan application form, and by looking at your accounts on the Credit Bureau and a register called the National Loans Register. Based on this, Eduloan will determine whether you can afford the full loan amount you've requested, or alternatively the amount that you would qualify for. Please note that Eduloan will not grant a study loan that is more than the amount that you owe the institution, as the money is paid directly to your account at the educational institution. You can also use our Instalment Calculator as an indication to calculate how much your monthly repayments would be based on your loan requirements. If you are not full time employed anyone can apply for a study loan on your behalf, as long as they are in full time employment and provided that the Eduloan monthly instalments does not exceed 25% (based on a one year loan) of your sponsor's monthly basic salary. The effective interest rate is the interest rate on your debt restated from the nominal interest rates as an interest rate with annual compound interest payable in arrears. It is used to compare the annual interest between loans with different compounding terms (daily, monthly, annually, or other). Thus, the quicker you repay your principal debt, the less your effective interest rates will be. The more diligent you are in repaying your debt, the more controlled the interest on your debt will be. In the end, the sooner you pay off your debt, the less time there will be for the interest to accumulate. Your study loan covers a whole lot of student related necessities such as registration fees, books, tool-kits, laptops, tablets and even accommodation for the duration of your studies, as well as your study tuition itself. Eduloan has solutions for full-time and part-time students and even offer you the opportunity to deduct your fixed monthly repayments from your salary. For more information and to speak to one of our Eduloan consultants, visit our website (www.eduloan.co.za), like our page on Facebook (www.facebook.com/EduloanSA) and follow us on Twitter (@EduloanSA).